Side A features amidst other things Arkm Foam on banjo in a duet with Jenifer Gelineau on violin followed by the voices of Id M Theft Able and Newton and fragments of music selections by DJ Dr. Quinn at the Voice of the Valley V fest from August 16-18, 2013 in Chloe, West Virginia. Side B features interactions with the YouTube video "Hal McGee and his new dog take their first long walk -- Gainesville, Florida" along with many other things. 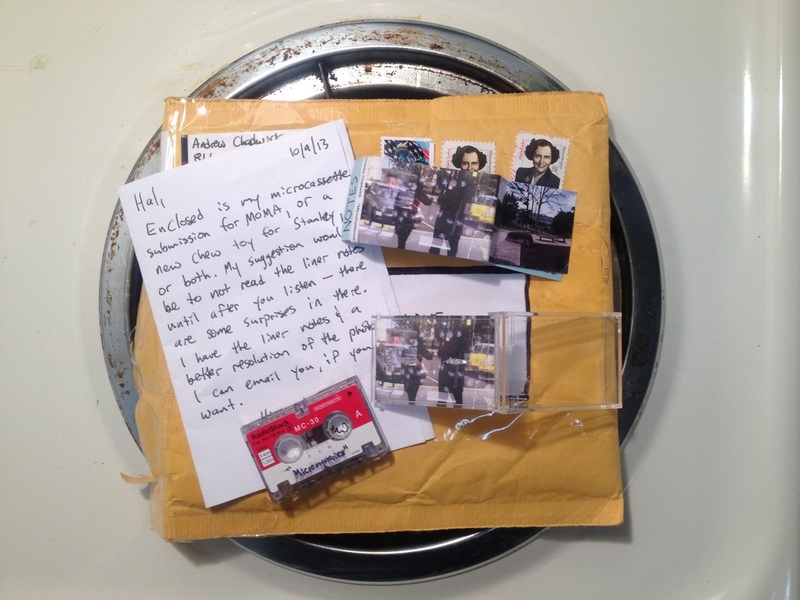 Recorded for Hal McGee's Museum of Microcassette Art, long may it hiss. 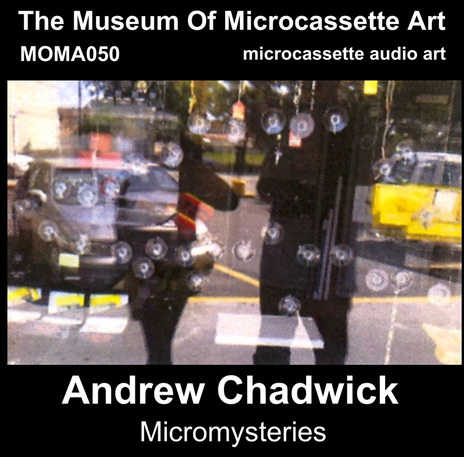 Chadwick is one of the true masters of microcassette audio art, and on "Micromysteries" he takes it all to a new level, and has created his greatest work yet. Highly intimate and personal (you're right THERE with Andrew), yet abstract, funny, mundane, and much more, "Micromysteries" is an investigation into the mechanics, the physicality of the microcassette medium itself, as a tool for re-constructing reality via pause button edits of time, fragmented, spliced, diced, rewound and fast forwarded into a microreality that defies linear reality, and explodes notions of past and future into one NOW. I won't give it all away by describing in advance this smorgasbord of audio delights. This IS the sound of microcassette, and I am now intimately familiar with the unique humming tone of Andrew Chadwick's microcassette recorder in the spaces between fragments.